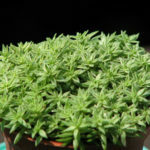 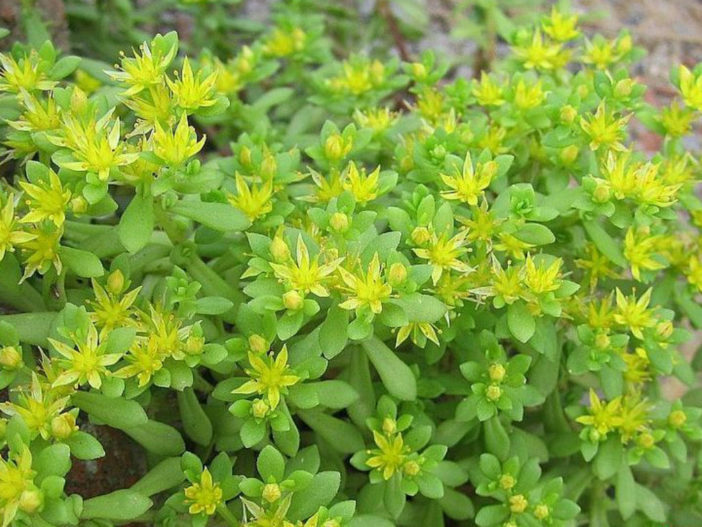 Sedum lineare is a mat-forming evergreen succulent plant with bushy and semi trailing stems up to 6 inches (15 cm) long. 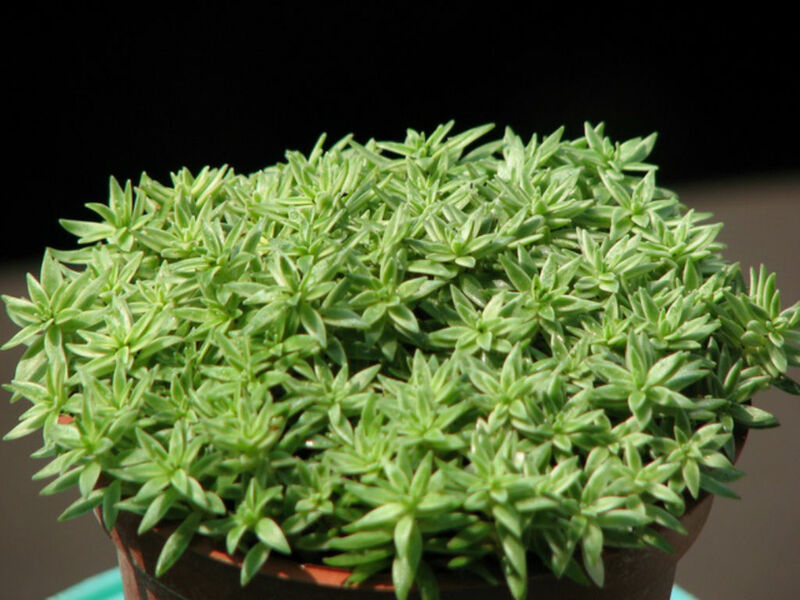 The new growth on this plant is often upright and then lies down under the weight of the stems and in shade it tends to grow slightly more open and taller. 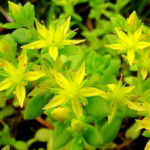 The leaves are succulent, light green or pale greenish yellow, up to 1 inch (2.5 cm) long. 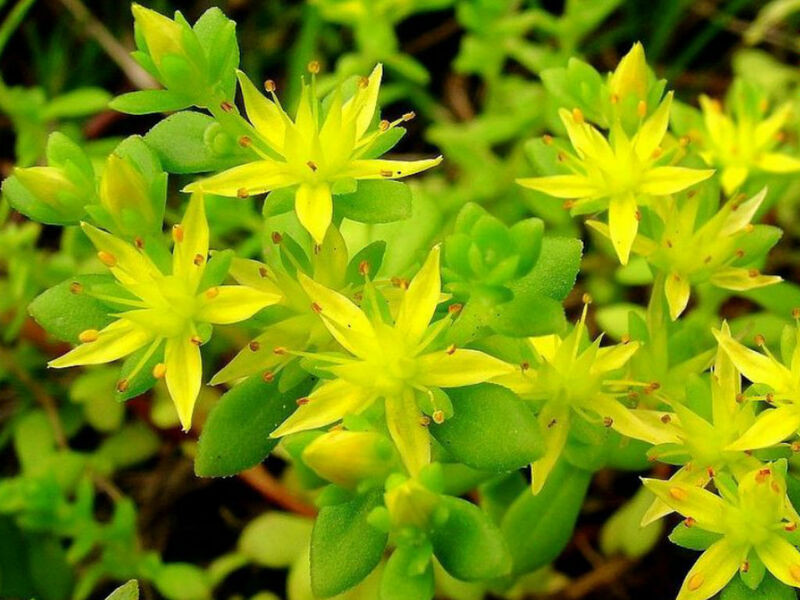 It is in flower from Jul to August. 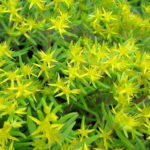 The flowers are star-shaped, yellow and up to 0.8 inch (2 cm) wide. 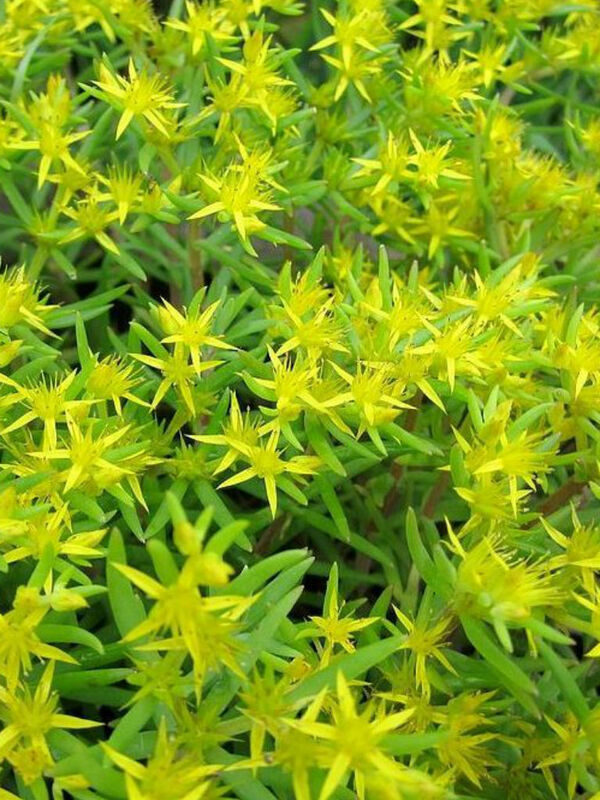 Sedum lineare is native to Eastern Asia, China and Japan.